Lily’s delicious Chicken & Spelt Supper made from organic, locally sourced vegetables including organic peas and carrots, and portions of chicken pork and turkey. Together with specially selected botanic herbs, this food provides a filling meal with all the essential vitamins and minerals for your dog. The recipe is certified organic and contains absolutely no preservatives or artificial ingredients. Particularly good for dogs with intolerances. 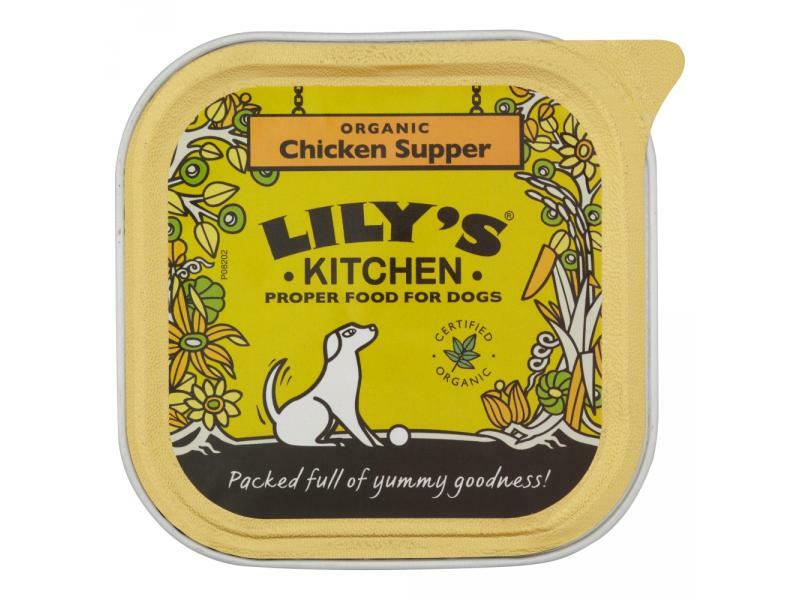 There are currently no questions for Lily's Kitchen Organic Chicken & Spelt Supper Dog Food - be the first to ask one!